You can take the Thundering Herd if you'd like, but I'm not trusting a team coached by David MFin Wooderson! The Cougars 4-3 record is a blessing as Vegas hasn’t jacked-up the lines on their high-flying offense yet. With a new headmaster in Kevin Sumlin (former Oklahoma offensive coordinator & assistant coach at Texas A&M back when they were good), new schemes implemented by former Texas Tech O-coordinator Dana Holgorsen (left to get out of Mike Leeach’s enlarging shadow) & veteran defensive coordinator John Skladany (10 years as Cyclones D-coordinator before coaching UCF’s kick-azz defense last year), and plenty of young superstars, the Cougars needed some time to find a rhythm. 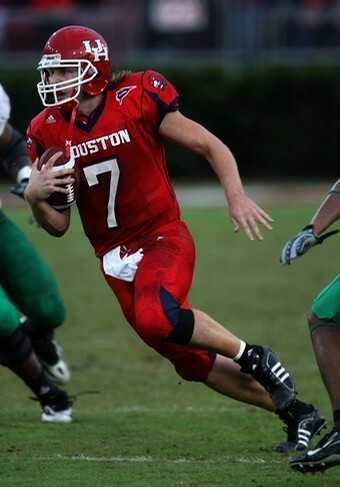 And since their 28-25 loss at Colorado St. on 9/20, the Case Keenum (69%, 23 TD, 6 INT) led Texans have won three straight & averaged over 43 ppg. Opponents have seen plenty of backside when Case & Co. have the pigskin...too bad for them it doesn't look this good! Even during the 2nd week of the season, the Cougars proved they could score on anybody with a 56-37 loss at #9 Oklahoma St. Former Head Coach Art Briles (now at Baylor) should be thanked for the plethora of young talent he left behind as Houston can compete with anybody in the country when it comes to playmakers. Sophomore QB Case Keenum was spectacular his freshman campaign, but many feared the offense would take a step back with the departure of new St. Louis Rams fantasy star Donnie Avery & workhouse RB Anthony Alrige (Broncos). Instead, Sumlin & Holgorsen found out they have more options than a white guy with expensive shoes in Thailand. The Cougars have a fresh young face in their backfield! True freshman RB Bryce Beall broke the hearts of plenty Big 12 schools when he decided to jump right onto the field at Houston and has been everything they expected…and a little more (557 yards, 6.3 avg, 7 TD and 151 yrds receiving). While Keenum is actually 2nd on the team in rushing (164 yrds, 2 TD), Jr. Andre Kohl is a perfect duel threat when Beall needs a break (rush & rec – 262 yrds, 3 TD) and should find a more action tonight with the colder conditions. With all the HR-skills on the outside, look for Keenum to burn the Herd for a few big plays with his feet! After watching lowly UAB dominate on the ground & through the air, the Herd probably trashed their playbook! Especially w/ the extra practice time, my guess is a Cougars team ranked 3rd in the nation in total yards will only have some inclement weather to slow their roll. The Thundering Herd defense has been abysmal of late allowing UAB to crank-out 432 yards for their 2nd win of the year (the same team Houston beat by 25) and Cincinnati dropped 33 points in their house w/ a 6-0 Fr QB making his 1st start. Hopefully the Vistor’s scoreboard lights have been changed recently because I have a feeling Case & Co. are gonna put-on a show. Just like the extra time on the catwalk has helped her, a few extra days of practice should help the defense! On the flipside, while the Cougars have been susceptible defensively as they’ve struggled adjusted to the new scheme, they have the playmakers and size to eventually turn the corner and should have an easier time tonight after getting back some healthy bodies. Especially with the additional practice time and the luxury of June Jones not coaching on the opposing sideline (SMU scored 38 in Houston’s win last week), I expect the Cougars to have some success against RS-FR QB Mark Cann (last 3 weeks: 49 comp%, 3 TD, 5 INT) and a rushing attack ranked 81st in the nation. Honestly, the only interesting thing about Marshall’s (3-4) squad are the names of the Darius boys: Leading reciever Darius PASSMORE & rushing leader Darius MARSHALL...throw-in a back-up running back named Chubb Small and my guess is we’ll hear plenty of annoying jokes from the commentators. Besides that, unless the weather totally destroys Houston’s passing game, I expect them to win easily tonight and might even tease them with the Buffalo Bulls tonight…but that’s only because I have a problem! While not a Cougar, she does excite me like Houston 2night! This page contains a single article from October 28, 2008 12:39 PM. The previous days article was Monday Night ATS & Supermodel Magic. 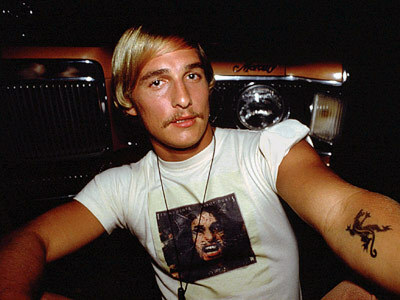 The next days article was Daily NBA ATS Action is Frat-tastic!.